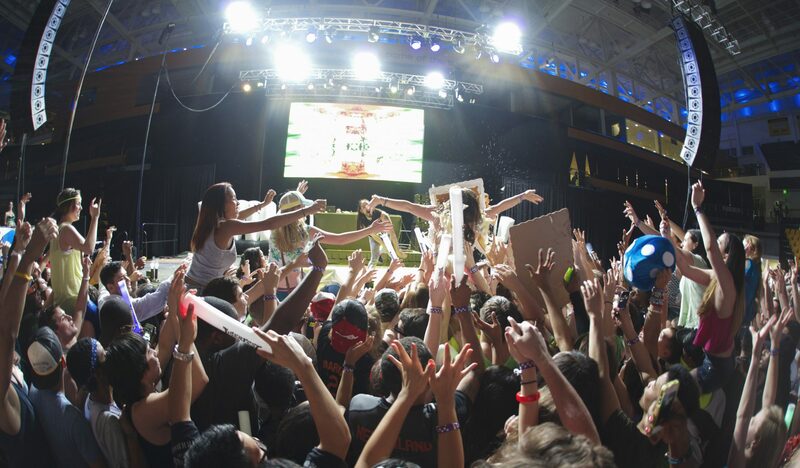 Tigerfest is Towson University’s annual concert weekend. 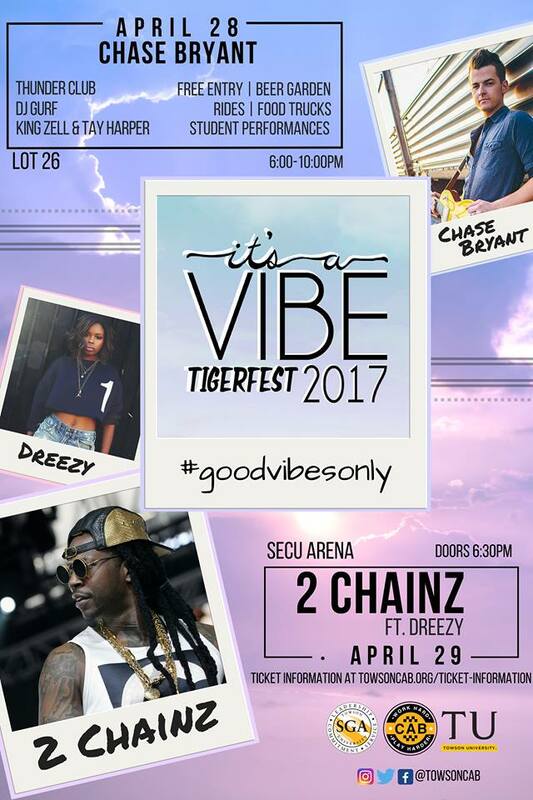 Sponsored by Towson University’s Campus Activities Board (CAB), Tigerfest occurs in the spring semester and features music, games, and activities, perfect for all Towson students! 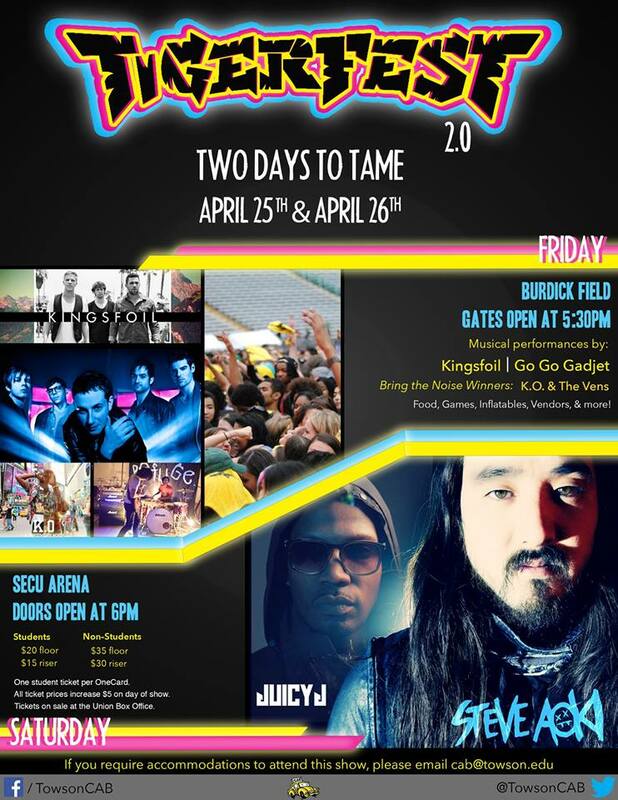 Headlining the April 20th Tigerfest festival. 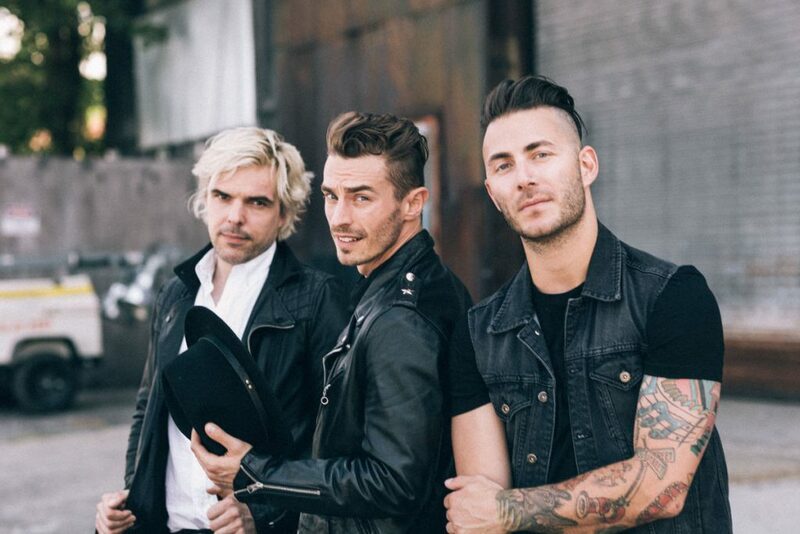 New Politics is a Danish pop/punk rock band. 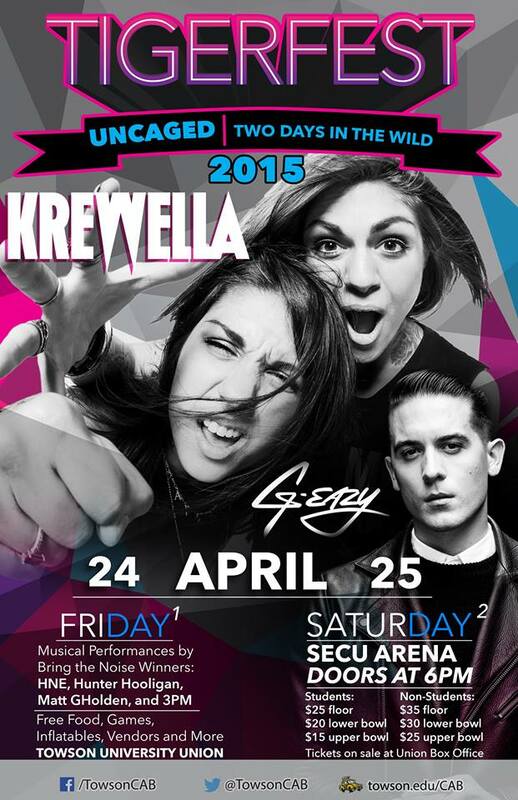 Opening at the April 21st Tigerfest concert. 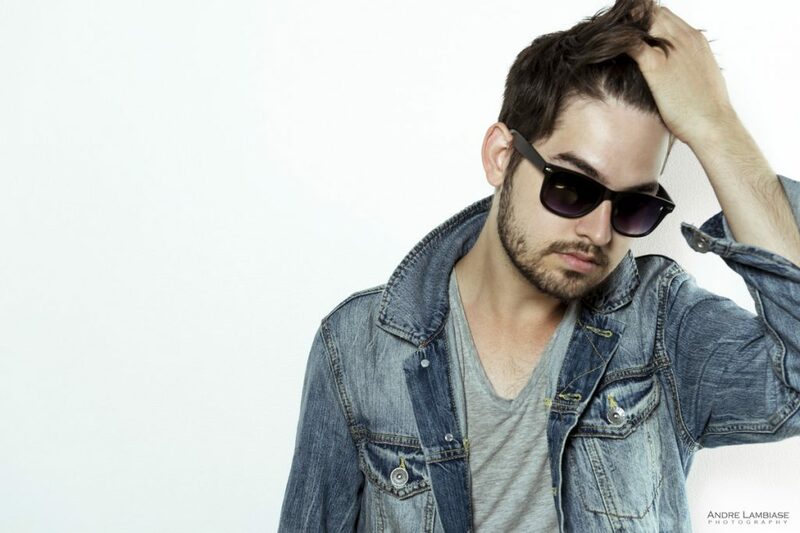 Rhett Price is a hip-hop and pop violinist. 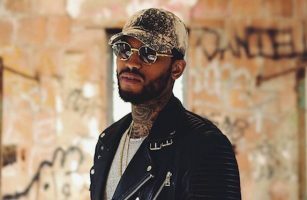 Dave East is a rapper and Towson University alumnus. 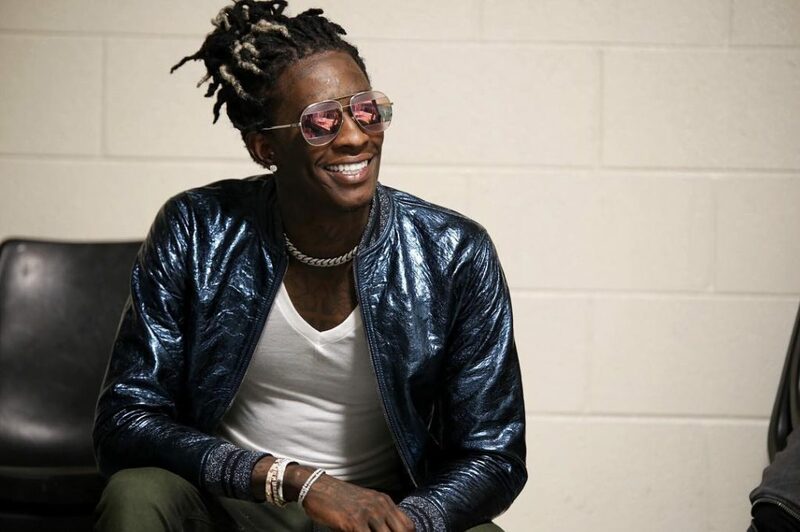 Headlining the 2018 Tigerfest concert. This year, Tigerfest 2019 will again be a week long festival, Monday-Sunday! A week long of fun events, activities, free promo, giveaways, all wrapping up on with a festival on Sunday! 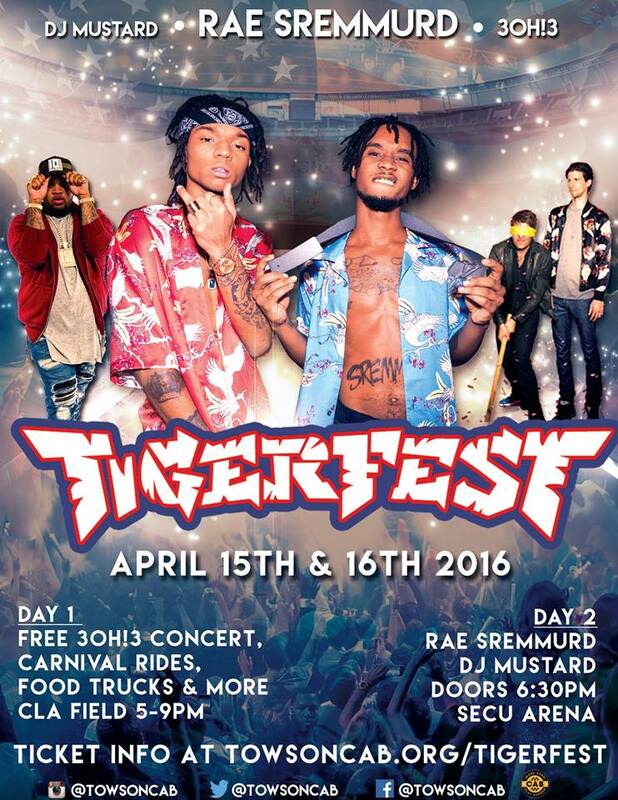 Tigerfest week begins April 8th and concludes April 14th.